With the ability to set consumption limits you can see immediately whether buildings or individual apartments leak water. Moreover, you will be able to uncover deception or any kind of tampering with the meter, its disconnection etc. The system will send you an e-mail or SMS. This therefore enables you to respond immediately and avoid losses, which otherwise would have had to be covered for by all members of a condominium or cooperative building society. With the ability to set the alarm limits or values you will instantly find out whether something serious happens in a building or individual apartment. You will detect water leaks, deception, tampering with a meter, its disconnection, etc. The system will send you an e-mail or SMS. This enables you to respond immediately and avoid losses, which otherwise would have had to be covered for by all condominium members or tenants. All the heat and water consumption is under your control. On-line monitoring is the easiest way to find savings, detect water leaks, eliminate losses or detect fraudulent behavior – disconnection of meters, unauthorized manipulation with meters, meter malfunction, etc. All such events trigger an alarm message that will be sent to you by e-mail or SMS. Online monitoring makes cost allocation in a building fair and easy. In addition, real-time meter readings at individual apartments can be compared with that of the main meter or assessed with the average consumption per apartment. Allocation of shared costs is based on real consumption. On-line monitoring and the CEM application enable you to put together a fair billing in accordance with Decree 269/2015 Coll. the capability of using the system for data transmission from security systems, remote monitoring systems and remote management systems. Data from meters can be monitored continuously. This is the essential benefit when compared to the existing practice of performing meter readings once or twice per year at the most, a practice that at the present time has become insufficient. Thanks to the on-line system that is capable of performing meter readings automatically, you will be able to view the consumption in a context and, based upon such measured values, you can change your behavior in order to save more energy and water. Moreover, you will immediately detect abnormalities, meter defects, leaks, etc., which are often difficult to prove when meter readings are performed only once or twice a year, and thus avoid disputes over the billing. The meter reading modules can be configured to perform meter readings at any interval. Installation of such radio modules is quick and easy. Since there is no need for in any cables, this solution is very easy to implement. On-line monitoring makes cost allocation in a building fair and easy. In addition, real-time meter readings at individual apartments can be compared with that of the main meter and any possible differences can discovered immediately. Designed for companies that own or operate buildings to lease with central energy or other media supply the CEM Business is a system for monitoring water and energy consumption and performing cost allocation. 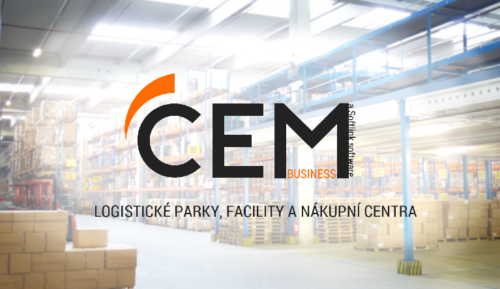 Typical customers of the CEM Business are owners, operators or managers of shopping centers, office buildings and logistics facilities. 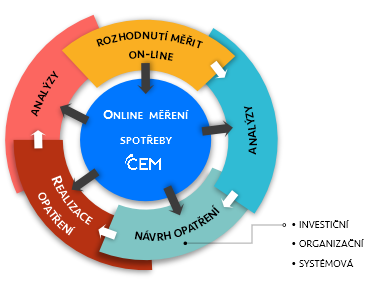 The CEM Business system performs automatic data collection from consumption meters and sensors (water meters, electricity meters, gas meters, calorimeters) using radio technology and on-line data processing in order to perform an operational analysis and evaluation of anomalous conditions (accidents, failures). Based on energy and other media consumption data, collected in various parts of the building, the CEM Business system performs automatic allocation of costs among individual users of the object. In addition, this also includes generating of billing files and complete documentation for billing. The possibility to monitor consumption in real-time with short intervals of meter readings allows you to perform a comprehensive analysis of the building and user behavior in terms of energy and water consumption. Such analysis often reveals incorrectly set control systems or waste of energy due to improper use of appliances, IT systems, food refrigerators, etc. They also help to uncover technological energy and water supply system failures. The applied technology allows for online energy and water consumption meter readings. Meter readings take place in short intervals of 15-60 minutes. The number of meters in a building is not technologically limited. The system uses radio waves of 868 MHz and 169 MHz. Utility costs allocation among residents/tenants can be done in monthly periods or at your chosen arbitrary intervals. The added value of the CEM system lies in its quality of cost allocation, timeliness and independence upon Excel tables. Just improve the efficiency and performance of your team. provides quality, credible and detailed evidence that can be used to resolve any ambiguities and disputes over payments. direct invoicing of operating costs based on a tariff system (for licensed distributors or energy and media retailers). The system supports multistep separation of cost allocation combining all of the above algorithms. Billing may be performed in an arbitrarily long billing period with one day accuracy. The CEM Business system supports language localization with the support for various currencies and tax rates. It works on the principle of the central application accessible from anywhere in the world via the Internet (the “cloud solution “), the integral part of which is the effective management of user rights, automatic reporting and data archiving. 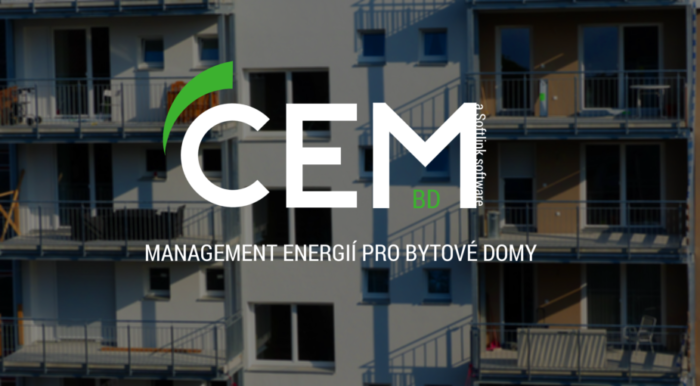 The CEM Business system also incorporates the “CEM Mobile” mobile application, which allows authorized users to view on their mobile phones up-to-date data about their energy and media consumption. 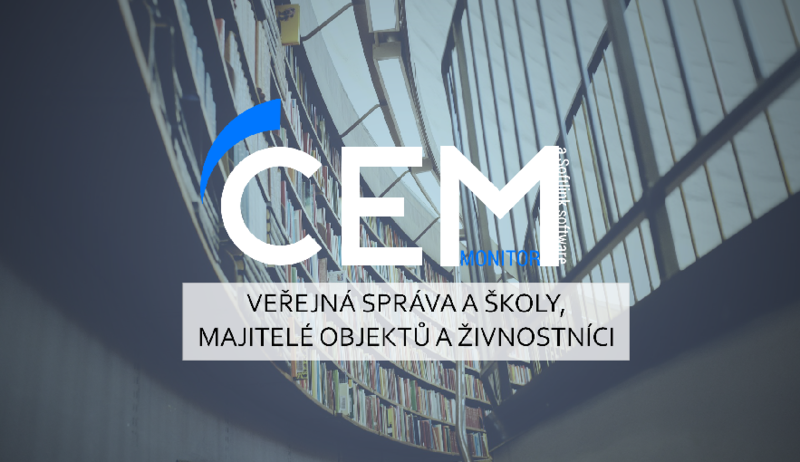 The 4 CEM BUSINESS is currently used by several shopping centers in Prague, Ostrava, Usti nad Labem, Cheb, but also in the Slovak Republic. Moreover, it is used by logistic sites along the D1 highway, in the surroundings of Prague, Rudná, in Moravia, etc. Please fill out a simple form to find out the cost of the solution. Within 3 days, we will contact you with our preliminary offer. You will easily and quickly discover water leaks, even when a building is not in use – at night or on the weekends or holidays. You will detect water flowing through toilets, automatic flushers working 24 hours a day, failures (especially in rarely visited or inaccessible areas) and, thanks to the ALARM feature, you will be automatically notified of all nonstandard events by e-mail or SMS. Incorrectly set heat regulations will be detected on the very first day of meter reading. You will detect overheated corridors, cellars, offices and classrooms that may still be there despite the common belief that building operators have their heating systems properly regulated. Thermometers are deployed in the so-called reference rooms in order to create a complete picture of the thermal behavior of the given building. With on-line electric energy meter reading at the main meter and with possible deployment of secondary meters you will get a complete overview of how electric energy is consumed throughout the day. In addition, you will get valuable information about passive consumption when your building is not used. Consumption at night, on the weekends and holidays will reveal what is really taking place 365 days a year. The passive consumption is made mostly by IT systems, drink machines, food cooling or other non-stop running appliances. Smart metering is based upon automatic remote data collection from water, gas, electricity, etc. consumption meters. Water meters, electricity meters or gas meters are equipped with radio devices (RF modules) that read the measured values and transmit them online through an Internet gateway to the central server where they are data are automatically processed in real time and subsequently visualized in graphs and tables. Subsequently, they are backed up, so that they can be further worked with. This kind of direct control due to online meter reading is beneficial not only for suppliers that, with the help of smart metering, regulate their supplies, control consumption, analyze the condition of their distribution network and receive information on inoperable meters, failures, etc., but also for the customers who can check their consumption continuously in real time and thus are allowed to effectively regulate it. Data can be imported from external systems. In addition, systems can be interconnected and the collected data can subsequently be re-exported. Everything you need, you always have at hand. Consumption meter readings are performed online, so that energy and water consumption is seen in real time. 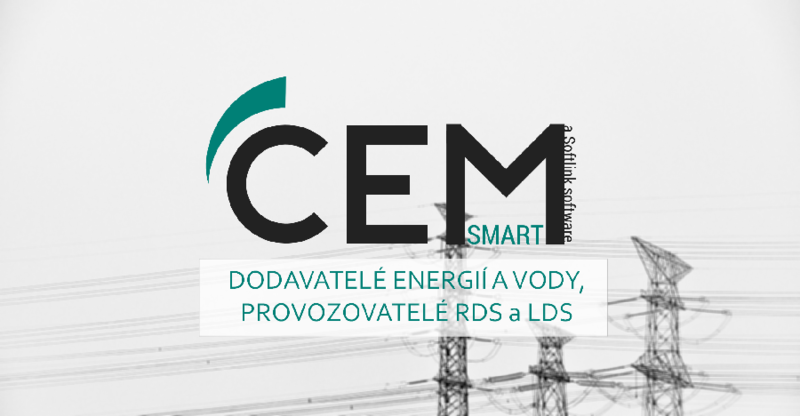 The energy suppliers that use the CEM system can easily offer to their customers additional services such as non-standard billing cycle (even per day), online consumption control via private access to the application, the possibility of setting increased consumption alarms or currently new automatic consumption reports. CEM system was conceptually developed as a modern CLOUD solution with central application and data repository. It is accessible, safe and reliable. A mobile version is available for manual data enter of those meters, which are not online.